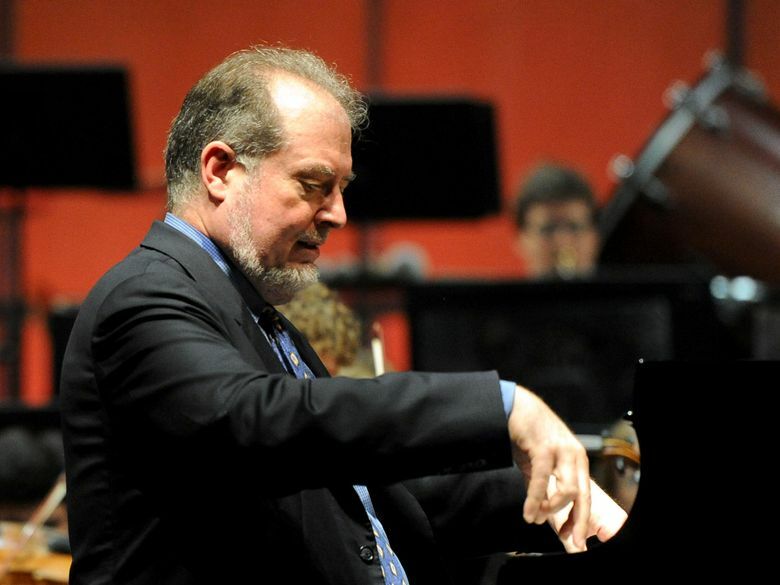 Tuesday night marked the sixteenth appearance in the Meany Theater for internationally renowned pianist Garrick Ohlsson. Judging from the rapturous response of the large audience, Seattle is definitely ready for a seventeenth. When Ohlsson arrives to play the President’s Piano Series, it’s always a special occasion, and Tuesday evening’s program was especially tasty: a great Beethoven sonata (the Op. 110), a Chopin set (including the great Ballade No. 1) and Mussorgsky’s spectacular “Pictures at an Exhibition” to round things off. Ohlsson’s audiences especially look forward to his Chopin; he launched his career in 1970 by winning the Chopin International Piano Competition, and has been closely associated with that composer ever since. Certainly the Chopin works on Ohlsson’s Meany recital were among the high points: a Scherzo (No. 4) of near-impossible clarity, two sparkling Etudes (Nos. 5 and 6) and a deceptively dulcet Nocturne in C Minor that rose in complexity and power. The grand finale of the Chopin set was the great Ballade No. 1 in G Minor (a favorite of the late Vladimir Horowitz), which started as a quiet reverie and then rolled out of the keyboard like a mighty and unstoppable river. After the Chopin came Mussorgsky’s great “Pictures at an Exhibition,” which is also familiar to concert audiences in the version orchestrated by Ravel. Purists love the original piano score, though, for its marvelous energy and its edgy zest — particularly when played by a soloist who seems able to compress an entire orchestra into the soundboard of his grand piano. “Pictures” is a set of musical vignettes based on an 1874 exhibition of drawings and watercolors by the composer’s short-lived friend, artist Victor Hartmann. The music brings the images in the exhibition to life, from an old castle and a lumbering oxcart to children at play and a fairy-tale witch from Russian folklore. In between, a “promenade” theme carries the listener from picture to picture, culminating in a grandiose finale depicting the Great Gate of Kiev. Ohlsson’s interpretation was both fleet-fingered and highly individualistic (his oxcart, for example, was somehow both faster and more massive than usual), and his grandiose finale was the stuff of high drama. Not surprisingly, the audience leapt up for an ovation that brought Ohlsson back to the stage several times before offering a single encore: Enrique Granados’ bittersweet, exquisitely simple little “Spanish Dance No. 2” (“Orientale”), which brought the audience gently down to earth again. Melinda Bargreen is the author of two books, “Classical Seattle” and “50 Years of Seattle Opera.” She also reviews concerts for 98.1 Classical KING FM and The American Record Guide. She can be reached at mbargreen@gmail.com.